Welcome to Baldwin Wisconsin and the Super 8, we look forward to serving you. 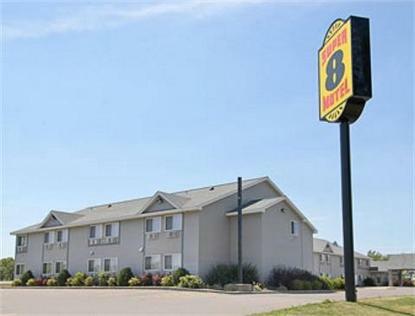 Our property is conveniently located off of Interstate 94, with easy off and on access. All of our rooms offer above normal spacious accommodations, are well appointed and offer free wireless high speed internet. We are more than a typical mid-scale hotel. You will notice the difference as soon as you walk through the door. Our lobby draws you into a warm inviting atmosphere. Enjoy our lobby fireplace, which is a popular area for gathering with friends or colleagues. After a hard day of work or shopping, unwind in our heated indoor pool or soak in our whirlpool. Treat yourself to one of our jacuzzi suites. Our jacuzzi suites include king size beds, microwave oven, refrigerator, pull out sofa and wet bar. Traveling on business? Our executive suites offer ample work space, king size beds, recliners, microwave ovens and refrigerators. Because of our convenient location, which is a short distance from St. Paul, we are able to satisfy any need. So whether you have a business meeting or a tee time, you'll find what you need at the Baldwin Super 8. Our staff is always ready to treat you like royalty. Come and see all of what Baldwin has to offer. We'll see you along the way.